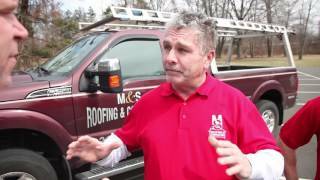 When the time comes to have work done on your roof, care must be taken to ensure you choose a Roofer in Chalfont, PA with the skills and experience needed to do the job right. One specializing in residential roofing may not be prepared to take on a commercial job and the same is true in reverse. The type of roofing material to be installed, if the roof is to be replaced, may play a role in the selection process also. 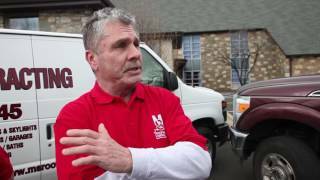 No matter which type of roof you need or whether you are having roof repairs done or the entire thing replaced, here are some things to look for when choosing your roofing contractor. The first thing to look for when choosing a company to handle residential or commercial roofing repairs is their license. All roofing contractors within the state are required to be licensed by state law. When you obtain an estimate from the contractor, look for the state license number to be clearly shown. If it isn't, ask for the license number or request they show you proof that they are licensed within the state. If the Roofer in Chalfont refuses, then you need to look elsewhere as they aren't following applicable business laws for the state. State law also requires that the roofer maintain liability insurance. This type of insurance protects the property owner in the event something happens to the roofer, one or more of his or her employees, and your property during the roofing job. The roofer needs to be able to provide a certificate of liability to show you are protected. Never allow a company to begin working on the roof without this document or proof of insurance. The same holds true for workers compensation. 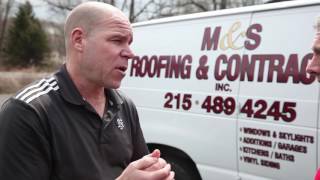 Pennsylvania state law states a roofing contractor must carry workers compensation insurance if he or she will have another person or persons working on your roof. Request a copy of this certificate before signing a contract with the roofing company. This protects you in the event someone working on the roof is injured and guarantees you won't be held liable for his or her injuries or any medical bills incurred as a result of these injuries. Sit down with the prospective roofer and ask what he or she will be doing during the roofing repair or replacement process. Have this all outlined in the contract. Shingle manufacturers typically provide a warranty on their products, but only if certain installation procedures are followed. Make sure the roofer explains the required ventilation or correct use of certain products to protect the warranty. Having this information included in the contract protects you in the event something goes wrong. If the roofer didn't do everything outlined in the contract, he or she will be responsible for the necessary repairs or replacement. Finally, discuss payment with the roofer before any work begins. Some companies request a third up front, a third when the job is halfway done, and a third upon completion of the work and an inspection. Others request all money when the job is done while some request all money up front. Avoid those companies requesting all money up front as you want to ensure the job is done right before you pay for all work. Remember the above when choosing a roofing contractor and you are sure to get the job done right.